I am a child of God. I am a follower of Jesus. I am a wife, momma, daughter, sister and friend. I love good conversation and hearty laughter. A good cup of coffee is always appreciated. Most of all, I desire to bring others into an experience with Jesus. One that will shape their lives and rock their souls for Him. Geoff is my best friend and amazing husband. Parker is my handsome boy who lives in Heaven. Norah is my bright star and bringer of joy. Tori is my overcomer and peaceful warrior. I live to show Jesus' love to each person He places in my path. I pray this blog strengthens you, comforts you and encourages you and that it MOST OF ALL causes you to want to get to know Jesus in a deeper level. I feel like I have to go back to the way it was when I began to blog in the first place (which I know is a complete lie). Or I think that I need to study up real good before I can deliver a powerful message...which I also know is a big fat lie. Either way, I think I'm experiencing real writer's block. For those of you who are just reading this, my book will be predominately about our experience grieving the death of our firstborn Parker Geofferson, but it will be about so much more than that. It will be about the way that God became so real through that experience. How God moved us into such intimacy with Him in such a real and tangible way. How, after knowing God my whole life, I actually experienced a move of God that shook me to the core and changed me dramatically and I haven't been the same since. This book will be a testimony to God's goodness. It will break the lie that God does bad things. It will break the lie that God gives us ailments to teach us lessons. It will shed light on God's desires for his kids. It will shed light on the power of Jesus' love for us. It will enlightened all who read it, whether they are grieving a loss, or are simply looking for more, that there is more out there when they partner with God, the uncreated one, the maker of heaven and earth, the alpha and omega, the one who was, is and is to come. God almighty, Abba, Adonai, my heavenly Father. This book will also help to invite people into a relationship with Jesus that will be unlike one they have ever had before. One where they get to partner with Him to heal the sick, give hope to the down and depressed and raise people from the dark depths to the highest of heights. I cannot wait to get started. I think my juices just got flowing!! Praise Jesus!! Geoff leading the teens on Wednesday nights. He's a wonderful leader. Working! Getting ready for Wednesday Night kids church. I love my "job". Geoff and I celebrated 10 years of wedded bliss June of this year!! I love my best friend and partner in ministry! Oh the places we'll go! Who knows? Only God does!! A Quick Game of "Catch Up"
- My father-in-law Mark, showed a short video clip of a woman named Heidi Baker advertising her Compelled By Love book. My heart was warmed and my spirit was stirred toward ministry. That afternoon, as Geoff and I ate dinner, I asked him what he thought about us going in to full time ministry. The desire was planted. - Geoff receives a text from his brother Greg that his church is looking for a full time Worship Pastor. The church is Redwood Family Church in Redmond, WA. The same church that my dad was lead pastor of from the time I was 9 until I was 18. - Geoff and I visit Redwood Family Church and meet Pastor Todd and his wife Janna. The church really felt like home, for both of us. Geoff tells me then that they are looking for a full time associate pastor for worship and youth. - Geoff and I discuss the idea of heading into full time ministry and find that that is what we desire. That night, Geoff emails Todd and the interview process begins. - This month was a bit of a blur. There were a lot of phone calls between Todd and Geoff. There were a lot of roller coaster emotions for me. I was excited, nervous, scared all the emotions that go with leaving a secure life behind and saying yes to God. If we were hired on, we would leave our home that we owned in Idaho (not able to sell so we found renters, praise Jesus), jobs that we were established in and would head into the wild unknown of a life in full time ministry. So you can see why I was excited/nervous/scared to do this. Oh, did I mention that we would move without a job for me, that was the most nerve racking piece, to a city that was nearly triple the cost of living! Praise God that He had everything under control. - July 8th: Geoff and I head to Redmond, WA for him to lead worship at Redwood Family Church and meet the congregation. At this point, no decision had been made to hire us on. We stayed with Geoff's brother Greg and his wife Ashley in Kenmore and drive around looking at places to live if we are hired on. The cost of rent made my stomach sink and made my nerves increase. I praise Jesus for His calming presence through this whole process. - July 10th: Geoff receives a call that Redwood Family Church wants to bring him on as full time staff!! What a night! We were back home in Idaho and could not sleep! We got the call around 10p and didn't get to sleep until 1am. We just kept looking at each other and saying, "It's really happening. We're really doing this!" That next day I gave my work my 60 day notice. Our first Sunday with Redwood Family (RFC) was scheduled for September 1st. - My last day of work was the 17th of this month. That was a hard day. Northwest Christian Credit Union had been a part of my life for almost 5 years. They had been with me through the death of our son Parker (they shut down both credit union locations to attend his funeral) and had supported me so fully with my grief and healing process. They were the BEST organization to work for. 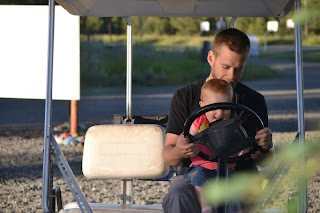 - That following Friday, Geoff, Grady (his little brother), our daughter Norah (now 2 years old) and myself headed back to Redmond, WA to look for a place to live. Yes, less than a week from leaving our house in Nampa and we still did not have a place to live in Washington... Praise Jesus we found a cute townhouse in the Juanita area of Kirkland and had a move in date set for August 26th. - August 25th: Geoff, Norah, our 13 year old chocolate lab Opie and I packed up our CR-V and the moving van, kissed, hugged and cried our way out of Nampa and headed for Washington. I remember, as I crossed the border from Idaho into Oregon I nearly had to pull over because I was crying so hard. I felt all sorts of emotions and the only way they were expressed was through nearly uncontrollable crying. I praise Jesus for His safe keeping and for His comfort during that five and half hour car ride to Yakima where we spent the night with my parents. - In Yakima we dropped off our dog Opie with family friends where he would live out the rest of his days. The townhouse we rented allowed dogs, but the cost was way more than we could afford. That was a very sad night for our family. Geoff and Opie had been together Opie's entire life so to say goodbye was hard. I praise Jesus for His peace and comfort during this time. - Sunday, August 26th Geoff and I rolled into our townhouse complex and began to unload the van. We met several new faces and I had the privilege of saying hello to old friends. It was a great day that ended with a wonderful BBQ on the Kirkland waterfront with new and old friends. Geoff and I knew we were home and that God's good plan was all fitting into place. September - October of 2012 brought more beautiful blessings. Two days after living in Washington I was placed in a temp job in Bellevue from September - December. I was nervous about only have a temp job that had no prospects of becoming full time, so I applied for a full time position. October I was hired on full time, with a company in Bellevue, WA named Greythorn. I worked there from October 2012 until August 2013 when God opened the doors for me to work full time at Redwood Family Church as their Children's Pastor! God is SO GOOD!!! Those are just the first few months of our whirlwind experience with God changing our lives so dramatically. And it didn't stop there! November of 2012 Geoff and I attended a conference with Todd and Janna called the Healing Nazarene. It was put on by our friends Abbi and Benji Rhodes. They are the lead pastors at Church of the Undignified in Seattle, WA on Capitol Hill and are doing amazing things for the kingdom. It was a beautiful conference where our worlds were rocked in a wonderful way. I'm not sure how else to describe it other than to say that Geoff and I both felt like we were different people when we left. We also felt like our relationship with Todd and Janna was cemented together. Where the four of us felt like a bond was created in that weekend that will not be shaken. God radically spoke into my life in such a way that I will never be the same again. My eyes were opened to His beauty and my heart was moved to see people have the same experience I did during that conference. I am still a work in progress, but I'm so excited for what God wants to do! There are so many more details that I will share along the way, but the simple truth is that God moved us, we responded and our lives are radically different. No longer are we living a simple Christian life. We are now living a life that is focused on pursuing Jesus each and every day in each and every moment. We are focused on Jesus' mission to bring the Kingdom of heaven to earth through every interaction. We are focused on loving the one in front of us. We are focused God and that is enough, more than enough for us. I can't wait to share more! God is doing so much! He is up to so much good!! Stay tuned! Random side note: October 18, 2013, Victoria Mae Harmon was born and added to our family. She is a wonderful addition! In the past month I have been contacted by 3 separate individuals seeking advice on how to talk to a mom who lost a baby. As a result, my desire to help grieving momma's and daddy's has been reignited. Shortly after the death of our son Parker, I had this desire to see a nonprofit started to help grieving parents. I didn't really know how the nonprofit would look, but I knew I wanted to start one. After talking with my Uncle, who has extensive experience in starting nonprofits, it was determined it would not be fruitful. So I threw out the dream and moved on with healing. I was given the opportunity, about a year and a half after Parker died, to lead a support group for grieving moms at Lifeline Crisis Pregnancy center in Nampa, ID. Almost a year after starting the group I had to leave my ladies because my husband Geoff and I had been called to full time ministry in Redmond, WA at Redwood Family Church. All that being said, the fire in my soul to help grieving parents has been reignited and is growing stronger day by day. This past Sunday, our lead pastor Todd gave a word on how God has created us all to be creative. It was a wonderful sermon and it sparked in me the desire to partner with God to see my dream of helping grieving parents and families come to reality. So I'm restarting this blog as well. In addition to focusing on grief support, this blog will also focus on my life as an Associate Pastor's wife and as Children's Pastor. It will focus on the day to day normalities of living a ministry minded life as well as the new normal I'm stepping in to of living to bring the Kingdom every day. I'm excited to jump start this blog again, and I'm also excited to delve deeper into writing my first ever book. I believe God desires for me to tell my story of the death of our son Parker and the beautiful restoration God has done in my life in these past 6 years. I can't wait to start this project. It's going to be a big one, it's probably going to be hard and it may even hit a few road blocks, but I feel strongly that God wants me to do this, so He will see it through to completion with me, no matter how long it takes. So welcome back everyone! It feels good to be writing once again. I am overcome with emotion today. It's one of those weird days. The sun is not exactly shining outside and I'm not totally unhappy. It's just...limbo-ie weirdness. I have cried twice today already. But I've also laughed this morning. It's classic really. I miss Parker. I miss him dearly and I'm finding that this birthday is harder then last year for some reason. Not sure what that reason is, but it's just harder this year. So today, we'll take flowers to his grave and educate his little sister on her big brother Parker who is in heaven. We miss you Parker Geofferson and love you so very much. The moment I knew what love was. Parker Geofferson Harmon would have been three Thursday, the 15th of September. He entered this world and left it in one breath. I miss him deeply with every fiber of my being even still, three years later. Every time I see his picture, or look at his little hand mold, I ache with an intense desire to hold him once more. I remember it all, but what I remember most was all the love. I know it sounds hippie-ish, but it's true. There was so much love there. I remember being overwhelmed by all the love that was poured on us when we were in the hospital waiting to meet with the doctor. I remember Jim Rotz coming into our hospital room and praying with us that God would be near and feeling God's love pouring out of Mr. Rotz while he prayed. I remember my mother-in-law holding my left foot and my mom holding my right foot while I was in delivery and feeling so overwhelmed by the motherly love that was pouring out of them as they literally held me up through Parker's delivery and gave me the courage to press on and push through. I remember our dads, who are both pastors, praying over us and showering us with a love that only a father's strength can give. I also remember, the moment I looked at Parker and saw his sweet little face and his sweet little body, being filled with love like I had never felt before. This was not the same love that I felt towards my family or towards my husband Geoff. This was a new love. 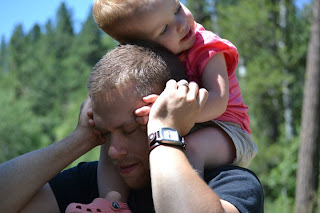 A love that made me want to switch places with my son. A love that made me want, so badly, to turn back the hands of time and try and save him (even though I knew that would be impossible). It was a love that I could only equate to that of a mother. I had heard about this love. I had even had talks with my mom about how my priorities would change after Parker's birth because of this love. But to experience it at that moment was, simply put...unreal. My heart wanted to explode when I looked at his little face, so still and so quiet. I remember feeling strange that I couldn't cry at that moment, but I believe now it was because of the intense amount of love I was feeling. I did not want to let my son go and say goodbye. Now, three years later I find that love has not changed. Five months after Parker died, we found out we were pregnant with our daughter Norah. I remember being overwhelmed and wondering if I was truly ready to ride this roller coaster again, but unfortunately, the wheels were already set in motion. Nine months later, on November 18th, our sweet Norah Joan was brought into this world screaming and my heart was filled once again with even more love. It did not replace our love for Parker, but rather strengthened it. I learned, this time, that a mother's love simply grows. One child is not loved or cherished more then another, it simply grows and grows and grows. Parker Geofferson will always be my first born. He will always be Norah's big brother and I will always love him with the love that only a mother knows. The love that is overwhelming at times. That makes your throat feel tight with emotion, and your heart feel like it has hit it's makes fill. It is a love like none other. It's truly an unshakable, indescribable love. A love that I cherish knowing and a moment that I will never forget, the moment I fell in love with my son. Hitchin' a ride with daddy. Best way to travel. Such a sweet picture of the two of them. They're best buds. Is it ever too soon to teach your daughter how to drive? 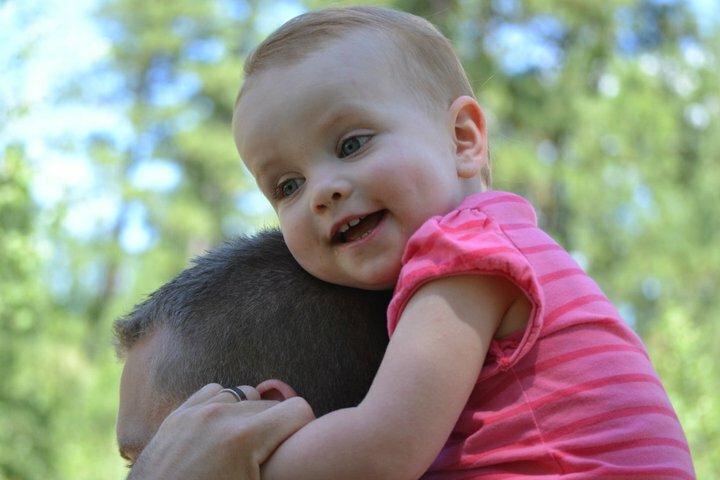 This is daddy and Norah at Trinity Pines this past weekend.